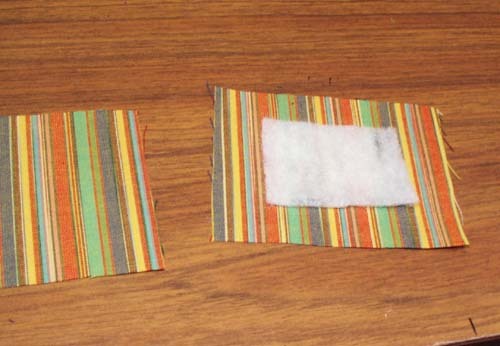 Instructions for assembling a homespun quilt square, rag quilt style. Center batting on one squares. 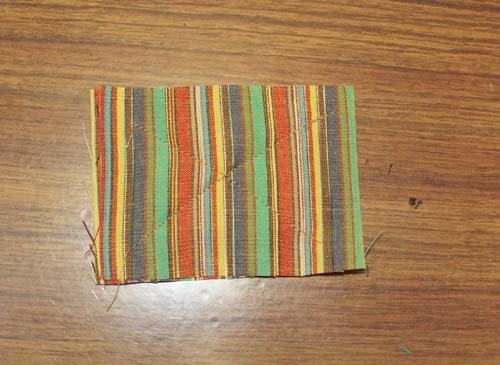 Top with another square to make a "sandwich"
Stitch through all layers from corner to corner to form an X.
Backstitching to secure the seams must be done 5/8" from all edges. 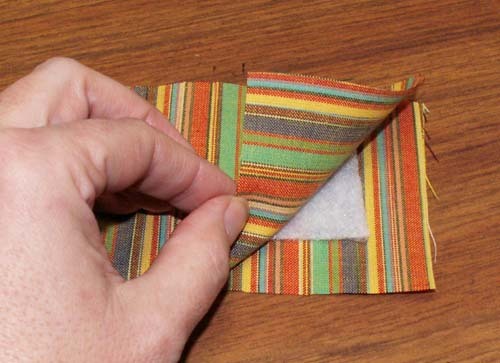 Otherwise the backstitching will be lost when the homespun "frays."